Monday Morning SEO: Ads on Google Maps? Maps are not my friend. Or at least they haven't been in the past, whether lost on the side of a road with a big unfolded paper map that I can't find myself upon, or driving directions from Google or Yahoo or Mapquest that get me 99% of the way to my destination only to lose me in the last mile. Maps don't seem to be Apple's friend lately either, with a lot of negatives hurled their way in recent weeks over their new mapping program that launched with the new iPhone 5. I picked up a new phone about a month ago, and my favorite part by far is the navigation feature, which helps me with that last mile or two. I get close to my destination, pull over and pull out my phone, tell it where I'm going, and it gives me turn-by-turn directions to my destination. As I arrive, it gives me a street view image of where I'm at. 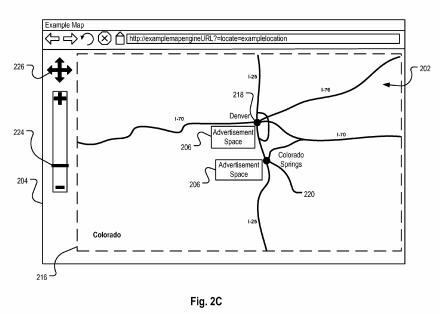 A patent application published by Google this past week is about maps, and about advertising upon maps. This advertising seems geared towards sites that use the Google Maps API to pull in map information to display for one reason or another. The ads would appear directly upon the maps, near or at the location of the advertiser. Bidding on maps might be based upon both the display region where the ads would be shown, and the zoom level of the map. The publishers of the maps would decide whether or not they wanted to include advertisements on their maps as well. Imagine that you own a chain of movie theatres, and you're using Google Maps on your site to let people see the locations of your theatres, you might decide that having ads on your maps might actually help traffic to your theatres, and also possibly earn you a few dollars. The patent appears to be on a fast track, having been filed just this past June, and published after a few months. Systems and methods for selecting advertisements for presentation in a map space are disclosed. Map requests are received, map spaces identified, advertisement bids are received for advertisement space within the map spaces, and advertisements are selected for presentation in the map space based on the advertisement bids. The advertisement bids can be selected through an auction. Since the introductory topic of this post involved Google Maps, I'm going to stick to that theme here and point out a couple of Maps related posts that I found interesting. The first of those questions the value of one of the signals that has been known to be important to the rankings of businesses in Google Maps. Mike Blumenthal asks the question, Will Citations Stop Being Effective for Local Optimization in the Future? Mike's answer is a thoughtful response worth spending some time with. If you like the more technical side of SEO and local search, Mike also has a post that points out a number of the different robots that Google uses in building maps, in his post, MapMaker Bots and What They Do. You've probably heard an increasing mantra in SEO circles about building great content for your pages. AJ Kohn gets a bit philosophical and practical on this topic in his post Stop Creating Great Content and Produce Memorable Content Instead. Ask yourself how you put a stamp on something that you've written so that people not only find the information you provide to be useful and helpful and engaging, but also associate it with you, and with your brand, so that it has a lasting impact and effect upon them. Finally, a hat tip to David Dalka for sending me an email about this post from the search engineers at Yandex titled, A Model of the Fresh Internet, in which they describe a new approach for identifying and crawling fresh new content on the Web. 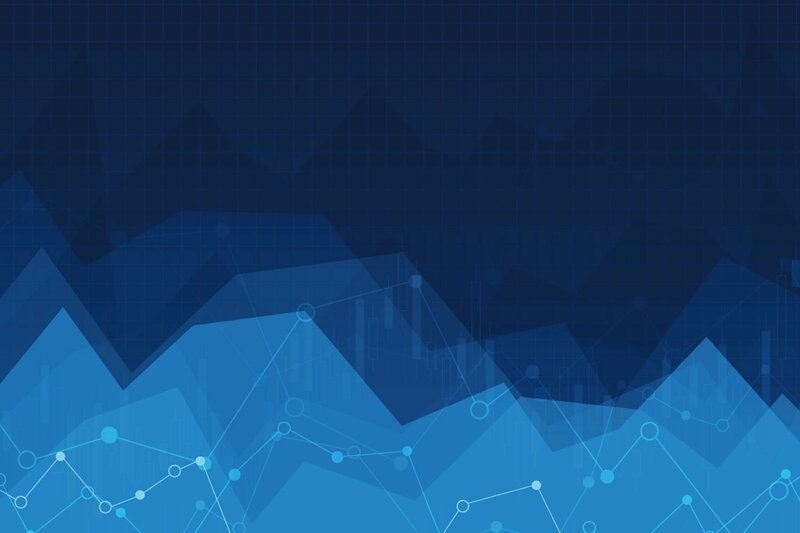 If you're into technical SEO, you may see the implications of their approach and how something similar might be used by other search engines as well. So, I wanted to continue the Maps theme for this post with this selection, and dug back into the archives of my site to pull out Authority Documents for Google's Local Search. How does Google know which page to associated with a particular listing in Google Maps? The patent filing Authoritative document identification explores some of the different signals that the search engine might use to associate a particular site with a particular location. Google Maps was one of the first Knowledge Bases that Google built, and has been working upon for years. If Apple's Maps have come under a considerable amount of scrutiny, in part it's because Google has a considerable head start. Rumor has it this morning that Apple may try to make up for that by hiring some former Google Maps employees. So how do you feel about the possibility of advertisements shown directly upon Google Maps.